What were the dinosaurs really like? There were many different types; scary, tall, small, fast and strong. 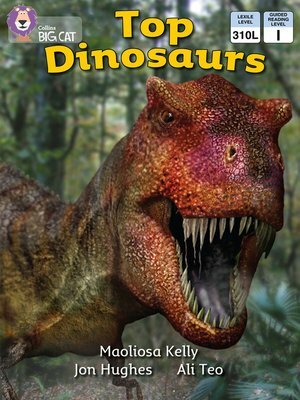 This book contains many fascinating facts about all sorts of dinosaurs with a pronunciation guide to their names and details on their size and abilities. â?¢Blue/ Band 4 books offer longer repeated patterns with sequential events and integrated literary and natural language. â?¢ Text type - An information book. â?¢ A final spread gives mini fact files on each dinosaur, summarising the information in the text, accompanied by an illustration to aid reinforcement and comprehension. â?¢ Curriculum links - Numeracy: Shapes, space and measure.